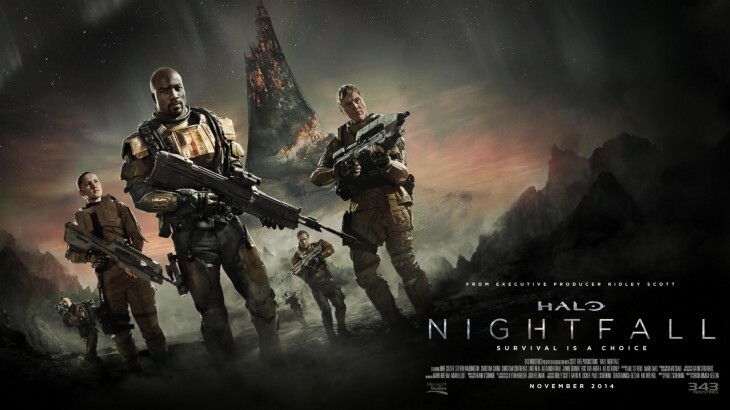 Microsoft has released the first trailer for its upcoming Halo: Nightfall live-action digital series, which Ridley Scott is working on as an executive producer. Not to be confused with the show Steven Spielberg is working on – that’s a separate digital feature – Halo: Nightfall will come bundled with the upcoming Halo: The Master Chief Collection video game for Xbox One later this year. The trailer reveals a new element that can selectively wipe out humans, which protagonist Jameson Locke, a an agent for the Office of Naval Intelligence (ONI) and his squad must seek out and destroy. It’s typical sci-fi stuff, although the attachment to the Halo franchise – Microsoft says it takes place between Halo 4 and Halo 5: Guardians – should keep Spartan fans happy upon its release.